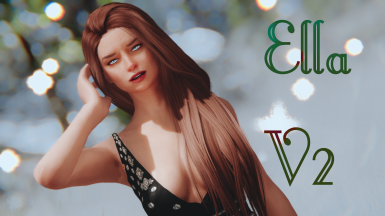 "Ellie And Ella - Followers And RaceMenu Presets (WIP)" is, like his name implies, a mod wich adds two standalone followers to your Skyrim. 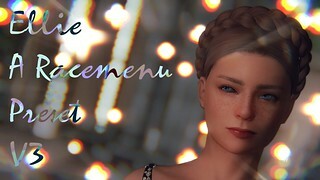 And their RaceMenu Presets. Brows !ONLY FOR THE PRESETS! Freckle Mania 2 !ONLY FOR THE PRESETS! KS Hairdos - Renewal !ONLY FOR THE PRESETS! Mikan Eyes !ONLY FOR THE PRESETS! RaceMenu !ONLY FOR THE PRESETS! 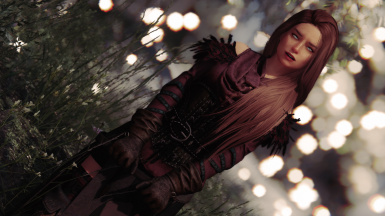 SG Female Eyebrows !ONLY FOR THE PRESETS! Ellie has gotten a full face lift with everything reworked. Ella has also a lot of minor details changed but more importantly, a new hairdo. Changed their AI a bit, Ellie's healing system should (maybe) work finally. -Ellie and Ella salut you from Skyim ! They are eager to be at your side for some great adventures. 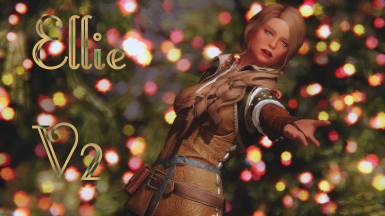 Ellie is a healer and an apprentice mage, she will (sometime) heal you if your health goes below 75%. Ella, in the other side, is an swordswoman, she prefers to use one-handed swords and sometime, bows. Ellie can be found at the "Sleeping Giant Inn" in Riverwood and Ella can be found at the "Drunken Huntsman" in Whiterun. -You will find in the "Files" section, three different versions. You will find an "AIO" version wich containes the files for the followers and their presets. You will find a version only with the followers. Both of them, have two different flavors to choose, an "HDT" and an "NON-HDT". (Please, refer to the "Requirement" paragraphe for more info). Finally there is two different files containing the presets. I'm really not a creative person (or I'm just lazy, you choose), so I guess you can create their backstory by yourself. OK, more seriously, I will maybe create one later when I'll really finish the mod. But in meantime you can create one and post it in "Post" section. I'm a 100000000% sure that you will be far more creative than me. So what are you waiting for ? Go for it ! If you want to have the same face expression as shown in some of the screenshots for the presets, please follow these steps. -Go to your RaceMenu with typing "showracemenu" in the console commands. -Go to the "Mouth" part, go all the way down and you should see a slider that changes the opening of the mouth ( ? maybe called "Mouth Opening" in English ? ), change a bit the variables but don't go too over the top. -Then go to the "Expression" part and change mostly the "Eee", "Oh", "Bmp", "Oohq" sliders. Frankly, you should try also fiddle the other sliders in it and you should get a great expression. Obviously don't go too over the top with the sliders. Install it with your favourite mod installer. Go into your game. Go to your console command, and then type "showracemenu"
Go to ''Preset" and then type "F9" then chose to import the file with the name ''EllaPreset(VX).jslot" or "ElliePreset(VX).jslot"
(Optional) For the face sculpture, go to the "Sculpture" section and then type "F9" then chose "EllaFace(VX).nif" or "EllieFace(VX).nif"
-If I have forgot to put anything in the credit section or broke any permission, please notify me right away and I will remedy ASAP. -If you occur any bugs or any issues with the mod ingame, please post it in the "Post" section. If you have screenshots, please feel free to post it in the "Images" section.